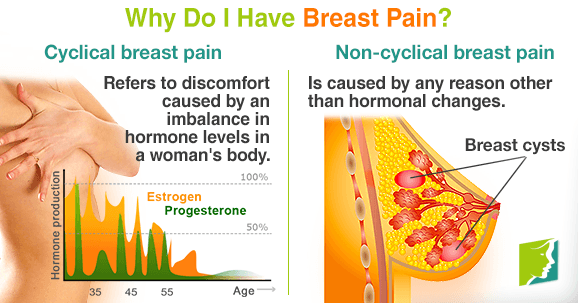 The most common hormonal breast soreness comes from an increase in the level of oestrogen before a period. This causes milk ducts and glands to swell, trapping fluid in the breasts. Many women have tenderness or pain in the lead-up to a period, and sometimes right through it. The breasts develop due to an increase in estrogen during puberty. During the menstrual cycle, various hormones cause changes in breast tissue that can lead to pain or discomfort in some women. 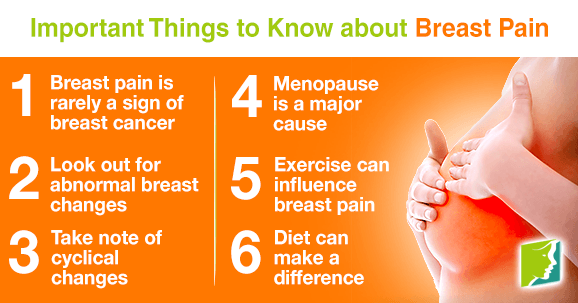 While breasts do not typically hurt, occasional breast pain is common.